My new mobile keyboard just arrived today. It’s a Verbatim Wireless Keyboard. There was no need for software installation. I could simply turn it on and go. Now, I am able to type using a relatively normal keyboard rather than use the hunt-and-peck method. My previous phone, with Windows Mobile paired fairly easily with a different mobile keyboard, but permitted more keyboard commands that would allow greater control over the device. It is possible that in the first 5 minutes of using this keyboard, I have not yet discovered the magic keys that allow me to navigate through the app icons. The “Pages” application and its sibling programs (a presentation tool and spreadsheet) are impressive–considering that these tools are usable on a phone. Now, let’s see if I can add some kind of object. That was nice, I could add a meaningless graph (it could be meaningful if I had some data to add) with the click of a button (and have figured out how to navigate via the keyboard–I still cannot use the keyboard to navigate the app icons). Now, to add something else. I’ll add an image. I’ll be able to select from the pictures that I’ve taken at Ikea today. All the objects are easily sized and placed into various locations with a few finger movements. Very nice. Nonetheless, handy tools and fun in experimentation. My intent here is not to promote Apple or any other company, but simply to express my experience. 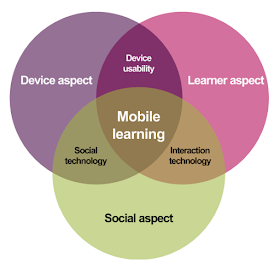 I have been steadfast about developing mobile learning resources for the lowest common denominator. I remain adamant that this should be the case. Access and openness is fundamental. Anyways, I have not upgraded my smart phone for quite some time–four years to be exact. I have also kept a variety of other devices around for testing. So, now I am the owner of a brand, new iPhone OS4. I haven’t tested Siri, yet. But, I’m absolutely in love with the device. The software and hardware is so highly integrated. Who would have thought that the camera’s flash could be used as a flashlight (with the installation of a simple app). So, why the sashimi picture? Well, I just installed the free WordPress app to see how well it would support mobile blogging. I just happened to notice the picture button. My only complaint is that it did not help me reduced the size. Nonetheless, up it went.